Taxes, man. The time has come, and if you have yet to get started, a stiff drink probably sounds really good right about now. Luckily, there are a couple things working in your favor: Uncle Sam has extended the deadline to April 18 (oh, thank you, how kind) and a bunch of restaurants and bars around the city are offering specials to help abate your financial woes. Here are 11 places to stop by on April 18 to celebrate being a law-abiding (if drunk) citizen. Harlowe (West Hollywood): Stop by for $1 old-fashioneds at this West Hollywood bar that highlights the Golden Age of Hollywood. 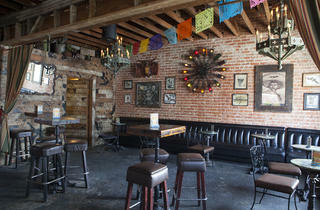 Bigfoot West (Palms): The cozy, log cabin-themed whiskey bar on the Westside is offering $1 old-fashioneds for Tax Day. Dog Haus (Pasadena, Burbank, Long Beach): Hooray, you've finished your taxes! This calls for a hot dog and a beer—more specifically, a PBR, which Dog Haus is offering for $1 all day on April 18. 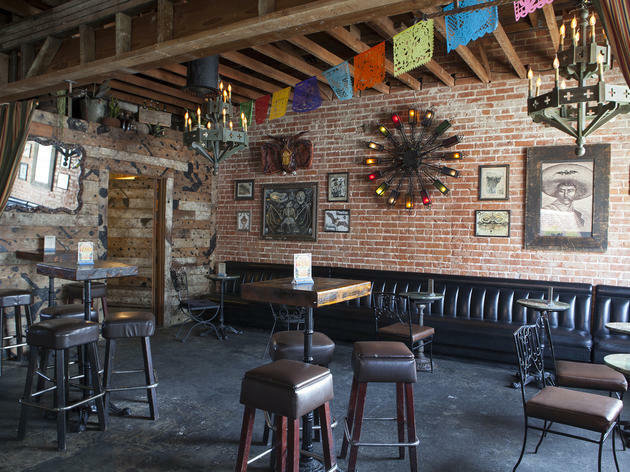 La Cuevita (Highland Park): While the dark, cool La Cuevita is normally perfect for a date, you can go ahead and treat yourself to $1 tequila presses all night long here—with or without a plus one. Sassafras (Hollywood): Transport yourself to the sultry city of New Orleans at Sassafras, where $1 old-fashioneds will be available all Tax Day. Hey 19 (Torrance): Good music, good vibes and $2 off all well drinks, house wines and house cocktails from 3pm-close will take place at the casual gastropub this Tax Day. Add to that half-priced appetizers and your night is made. Bigfoot Lodge (Atwater Village): Immerse yourself in that cabin life at Bigfoot Lodge, where old-fashioneds will be available for $1 throughout the night. Thirsty Crow (Silver Lake): One of the best happy hours in town is at Thirsty Crow, but you can take advantage of their low prices even more with $1 old-fashioneds on Tax Day. The Front Yard (North Hollywood): In case you've completed your taxes early, head to The Front Yard on April 15 for a two-course lunch special for $15. From 11am-2:30pm, you can indulge in chorizo deviled eggs, shishito peppers, Thai Town shrimp salad and feta and brocollini flatbread. Oldfields Liquor Room (Palms): Oldfields Liquor Room is a whiskey haven, so it's no surprise that they'll also be offering old-fashioneds for $1 on April 18. The challenge: sticking to just one of them. La Dolce Vita (Beverly Hills): La Dolce Vita is kicking off their Throwback Thursday promotion on April 18, launching 66 cent cocktails on Tax Day and continuing the offer every following Thursday (5-10pm) until the end of the year. You'll need to fork over at least a little dough for the deal: with the purchase of any food item, you'll be able to indulge in 66 cent martinis or old-fashioneds. Cheers to that.